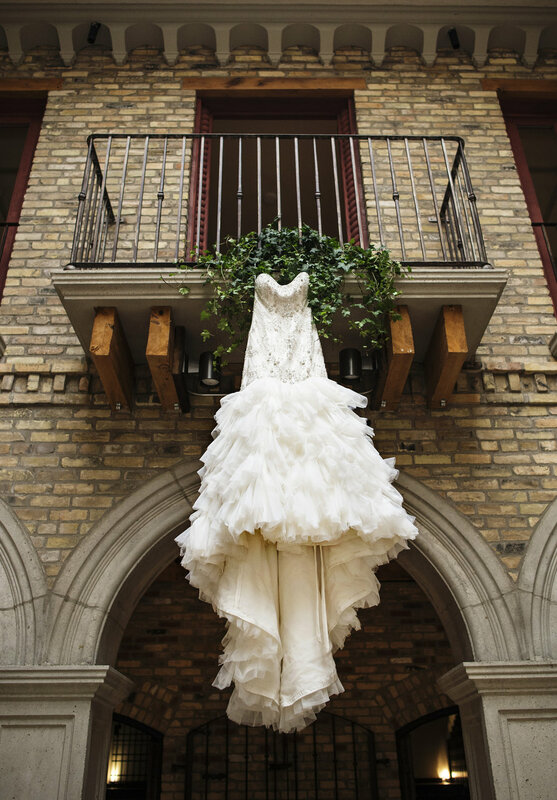 Milena and Aaron got married in Ontario Canada as it is Milena’s hometown and where most of her family live. 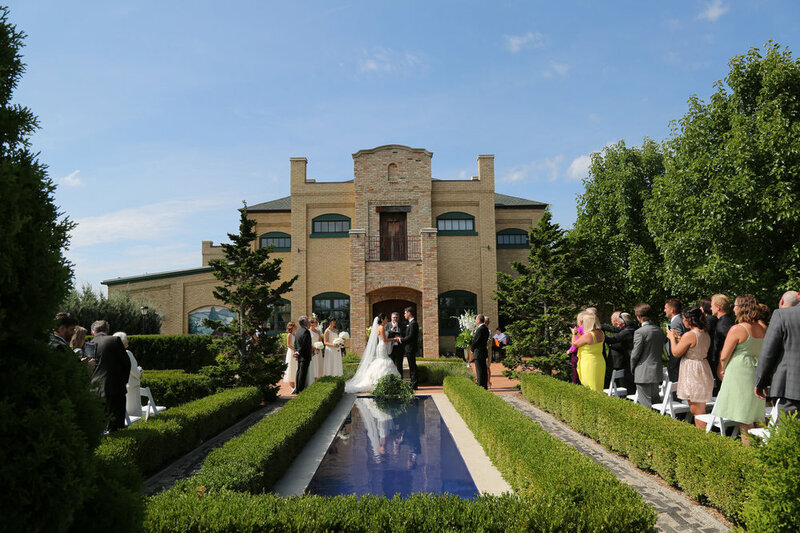 As Milena said, “I have been living in New Zealand away from them for 10 years now, so it only seemed fair.” They considered a lot of venues around Ontario but found a gorgeous place that blew them, and their family, out of the water just minutes from Milena’s parent’s house. 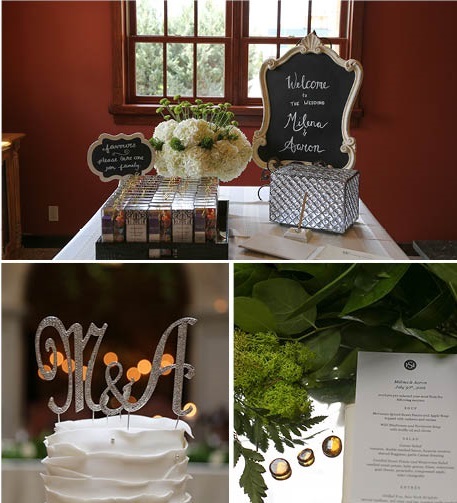 Milena kept the colour palette neutral, using shades of white and cream, with lots of metallic and crystal accents, candles, and lush greenery. 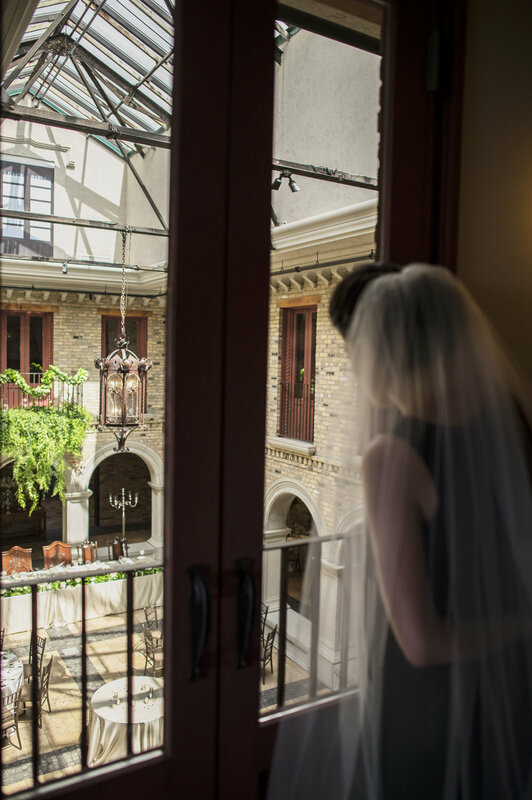 Milena and Aaron loved the rustic and Spanish vibes of the venue and wanted to enhance the various textures of stone, wrought iron, and wood with clean, elegant, and modern elements. 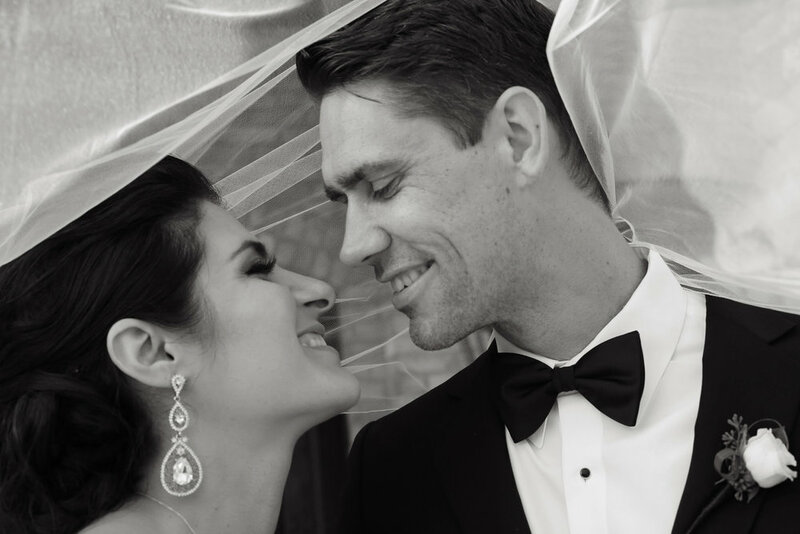 What was your favourite wedding day moment. Walking down the aisle and seeing Aaron for the first time was magical. Also, the surprise Spanish dancers that our parents organised for the reception were just incredible! 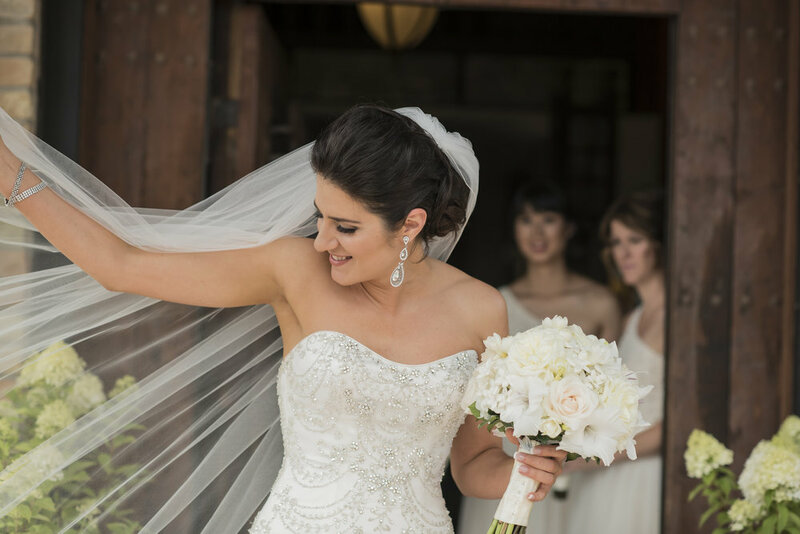 The ‘Raquelle’ by Sottero and Midgley (in ivory) was actually the very first dress I tried on in New Zealand, and it was just unforgettable. It was really flattering and just seemed to suit me, while others I tried on made me feel like I was wearing another bride’s dress. It was also surprisingly comfortable and light! What was your favourite part of the dress? The design of crystal embellishments - they were spaced out brilliantly and chandelier or fan-shaped rather than floral. Lisa from the Wellington store was amazing. She listened to my many ideas,and then brought me the perfect choices to try on. She really understood my aesthetic and I trusted her judgement to tell me what looked good. I really appreciated that I could skype in my mum too! A lot of people told us that the day would fly by and to just try to pause and enjoy every moment. They were absolutely right! Don’t let the stress of planning get to you, and don’t obsess about every detail. Let your family and friends help you so you don’t get overwhelmed. Ultimately, your most treasured memories will be committing to your partner and being surrounded by loved ones. 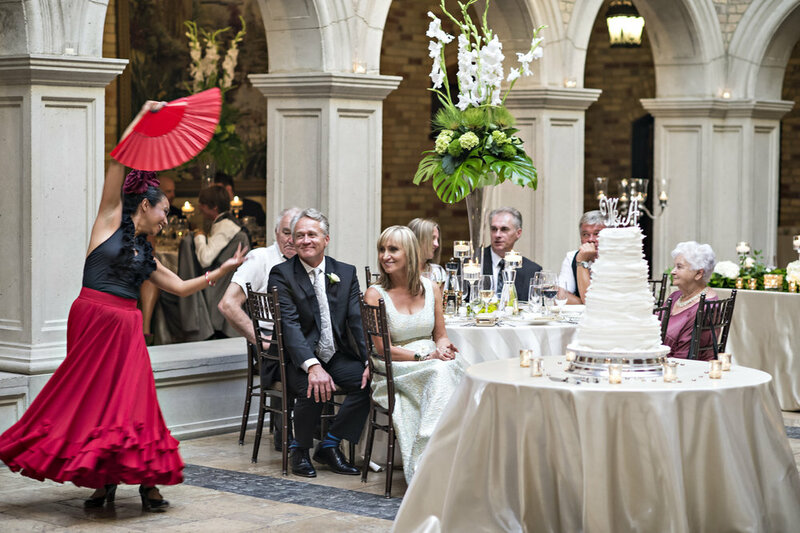 Wedding planner: Ashley from Hacienda Sarria (included with venue)… also my mom, who I couldn’t have done it without! Rings: Verragio for the engagement ring, Walker & Hall for the wedding bands.